So first up an update. There was no party in July, but as the Swiss celebrated on August 1st, so did my hormones. Better late than never! As for the period podcast, I’m delighted to say that it will be out in a few weeks time and I am ridiculously excited about it. Back to the title of this blog! 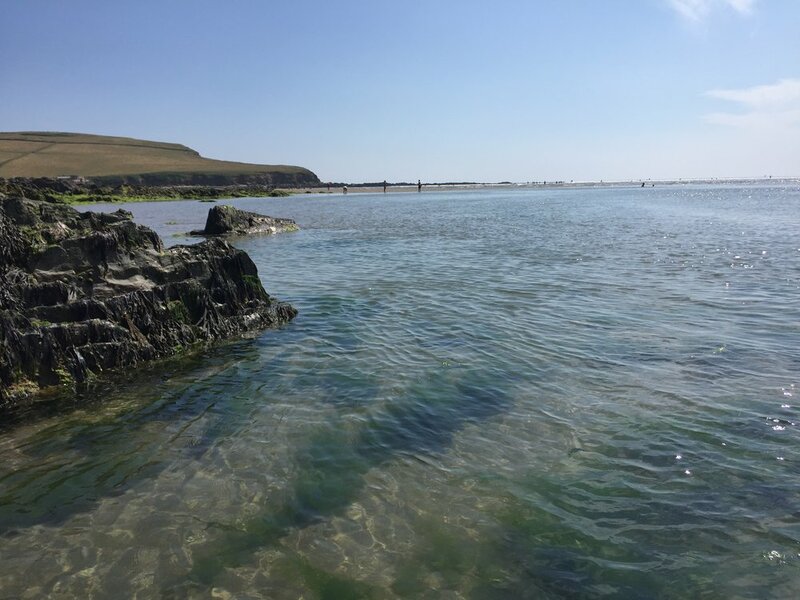 The Bantham Swoosh is a 6km swim down the River Avon in Devon. With around 200m to go, you get the “swoosh” effect. It means you swim far quicker than you ever would normally and end up on Bantham beach grinning like a kid! The event sells out ridiculously quickly, so we felt very lucky to have a spot in the first place. But more importantly, it was just a fantastic weekend away with Rich. It was the first time we had been back to Devon since we got married there three years ago. Ever since being a fidgety 5 year old sitting in the back of the car during summer holidays to south Devon, that first glimpse of turquoise sea poking through bright yellow fields of rapeseed near Thurlestone just fills me with happiness and makes my heart sing. That first breath of sea air takes that clunky day to day weight off my shoulders. Feeling the warm sand between my toes tells me that everything is ok in the world. Heck was it good to return! 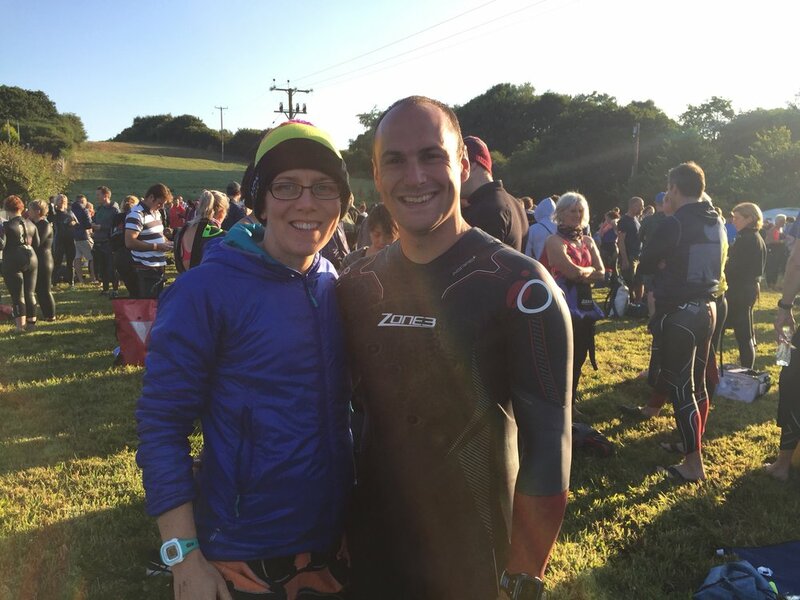 Rich and I had entered the race together and while neither of us had ever swum 6km before, I had at least got up to 4km a few times in recent years through Ironman training. For Rich, 6km was a huge step out of his comfort zone. This is someone who would avoid swimming even once a week, if he could. Someone who had huge confidence issues during club swimming sessions. Watching him throw himself into consistent training and overcoming those self-doubts was so inspiring and made me so proud. The swim itself was AMAZING!!!! 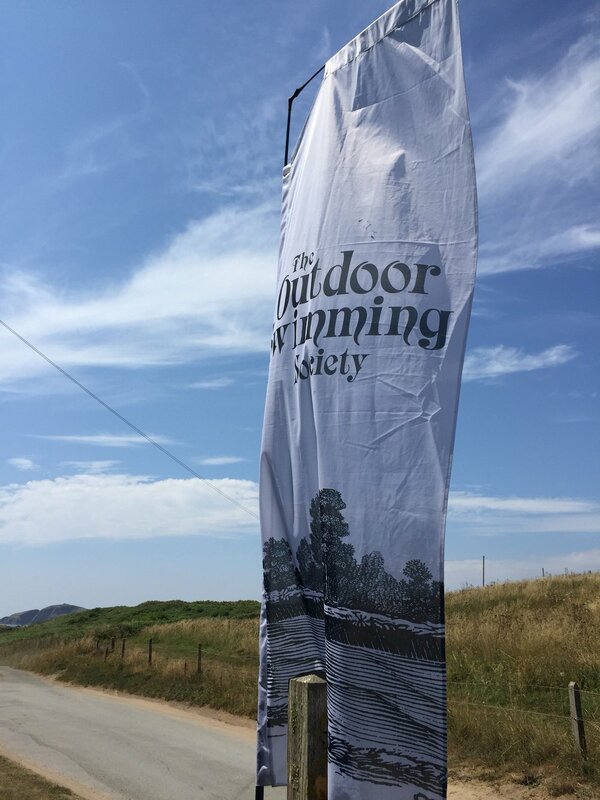 The Open Water Swimming Society do an incredible job of organising such an impressive event in a tiny corner of beautiful Devon. Over 700 people took part this year and conditions couldn’t have been much better, with sunny skies and near perfect water. Beautiful! It’s not a washing machine mass start. Instead, they let the quick fish head off first and everyone else follows a few at a time. There are loads of safety kayaks in the water to point you in the right direction and if you really wanted to, you could even stand up for parts of it. I finished in around 1hr25… probably 20 minutes or so faster than I would have done had it been a 6km lake swim with no assistance from the current. No complaints from me on that front! The only bad side about the whole thing? The neck chaffing, but I was expecting that anyway. Post-swim we exchanged tales over a pre-ordered pasty and, in Rich’s case, a cheeky 10am pint. And then talked through whether we thought we could do the Dart 10km. That question lingered all weekend. Would it really be that much more training? Surely it would be better to do it now, whilst we were already up to 6km, rather than having to start from scratch next year? A fortnight later and the deed had been done. We had signed up for a return trip to Devon in mid-September.